We are a locally owned and operated licensed and insured full service roofing and remodeling small business serving middle GA and surrounding areas. We specialize in roofing but can do just about anything from flooring, painting, siding, gutters, patios, additions, etc. We use only the best quality materials and make sure every job is done right the first time! Our goal is quality, not quantity. We offer a 100% satisfaction guarantee. 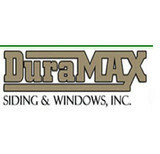 DuraMAX Siding & Windows family owned and operated by Jerry Hardeman Jr, and Jerry Hardeman Sr. Jerry Hardeman Sr started DuraMAX Jerry Hardeman Jr, and Jerry Hardeman, Sr - Owners - DuraMAX Siding & Windows selling CedarMAX Siding, Hardiplank Siding, Simonton Insulated Windows, Vinyl Windows, and TruGuard Gutter Protection SystemsSiding & Windows in September of 1970. Jerry Hardeman, Jr began installing windows and siding for the company in 1986. He has hands on experience for the proper way windows and siding should be installed. Jerry Junior installed for 15 years and was a crew leader for a number of those years. Jerry Jr, is now the primary owner of the business and spends his time with customers and overseeing all of the other crews and general business operations. The crews we employ now are specialized in intricate detailed installations and as a result our custom trim work is very unique. We appreciate our customers and will always stand behind our jobs. Our siding has a lifetime material and labor warranty and we give you a lifetime written workmanship warranty. Our crews are fully insured, so there is no need to worry about liability. Once we begin a job we stay on your job everyday, working long hours, until the job is finished. We pick up after ourselves and are very clean and careful not to disturb your shrubs and flowers. In addition, we will visit you while your job is being installed to make sure everything is going as it should, and you are happy. We are a family owned and operated full service residential and commercial roofing company. We have been doing business in and around the Atlanta area for over 30 years. We offer prompt service, quality workmanship, value and integrity. We specialize in all types of roofing. Asphalt shingles Slate Tile All types of metal Wood shake Single ply We also specialize in roofing repair. Our goal is 100% customer satifaction. We adhere to the highest quality of standards. Fully insured and licensed Accredited member of the BBB A+ rating Locally owned and operated We accept all major credit cards We appreciate the opportunity to earn your business. 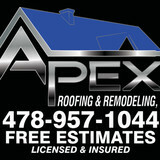 We have been providing quality roofing service to Georgia since 1910. Our residential division is Schwartz Residential Roofing, www.schwartzroofing.com. FREE INSPECTIONS TODAY!!! Being one of the best roofing contractors in our industry means that we are committed to every home project. We will work with you in order to amplify your home’s appearance, secure your investment and make certain that you are completely satisfied. While inspecting for wind, hail, water or fire damage we will check for any damage on gutters, down spouts, windows, siding and do any replacement installs if needed. We do all residential homes and commercial buildings so please don’t wait until it’s to late call TODAY!! We are a siding, window, and roofing and gutter company. We install seamless gutters, both half round and ogee styles in almost any color. We sell and install Simonton windows. Skyline has been a family owned and operated business for over twenty-five years. James Jenkins and Skyline have recently been named Eatonton-Putnam Chamber of Commerce 2011 Business Person and Business of the Year. In October of 2011, Skyline had the privilege of participating in an episode of Extreme Makeover Home Edition by custom fabricating and installing the metal roofing on the home in Madison, GA. In 2005, Skyline was recognized by the Department of Defense as “one of the most supportive employers in the state of the National Guard and Reserve” receiving the Patriotic Employer Above and Beyond Award for outstanding support of America’s National Guard and Reserved Forces. We specialize in beautification of your homes exterior. 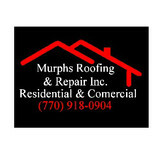 Roofing repair & replacement , siding, porch, patio and custom decking . Gutter Solutions of Oconee, is a full service residential and commercial seamless gutter installation company. We specialize in all aspects of the seamless gutter industry; including gutter installation, clog -free leaf protection, gutter cleaning, and repair services of any nature. Gutter Solutions has satisfied many homeowners and builders throughout Georgia by using only the highest quality materials and the most expert installation technicians while getting the job done as quickly and economically as possible. Our services don't end at gutter installation. We also offer many solutions for repairing damaged soffit, fascia and siding due to water damage. If your building a new home or office and need a complete gutter system installation, or just simply need to replace a gutter on your existing home, Gutter Solutions can fit all your needs! Contact Gutter Solutions today for a free estimate. Roofs and gutters are two home elements that, when they do their job, go unnoticed. But when they malfunction, they make their presence known in a hurry — that’s where knowing a good Milledgeville roofer comes in handy. Hire the right roofing company in Milledgeville, GA to install, repair and maintain your roof and gutters, and you’ll ensure that these essentials perform at their peak. What do roofing companies in Milledgeville, GA do? Your Milledgeville, GA roofing contractor can install a new roof or repair an old one, as well as repair and replace gutters. Good roofers in Milledgeville, GA should be able to promptly inspect roofs and gutters to assess damage after a natural disaster or other event, and give you an estimate for the necessary roof repair immediately. Some Milledgeville roofing companies specialize in specific types of roofs, such as tile or metal, so make sure the one you are interested in works with the materials you have or desire. Find a Milledgeville roofer on Houzz. Narrow your search in the Professionals section of the website to roofing companies in Milledgeville, GA. If you’re planning a large-scale project, find other professionals on Houzz who can help get the job done. Here are some related professionals and vendors to complement the work of roofing & gutters: General Contractors, Specialty Contractors, Siding & Exteriors, Door Sales & Installation, Garage Door Sales & Installation.